We are sad that our stay in Georgia (Sakartvelo) is coming to an end soon. On Saturday we visited two wineries and then traveled on to Batumi on the coast of the Black Sea. Despite the cloudy weather and occasional light rain we were able to see the Black Sea – a sight I never thought I would see. It’s immense. Hopefully Sunday will be clear and we’ll see more of the sea. Today’s first winery visit was to Ramay Nikoladze’s Wine Cellar. Ramay and his crew, who included an American living in Georgia, were harvesting grapes so we visited the vineyard. Currently Ramay has 0.7 hectares (1.7 acres) of grapes that include Tsitska and Tsolikouri. These vines are between 27 and over 100 years old. He exports his wines to Japan, France, Italy and the United Kingdom. In Ramay’s vineyard we tasted the Tsitska 2012. This wine was fermented without skin contact and spent 10 months in qvevri. We also tasted Tsolikouri 2012 that was a gold color. This wine had skin contact for two months and was aged for 10 months in qvevri. Next we visited Simon Chkhedze who is producing wine from his own vineyards. 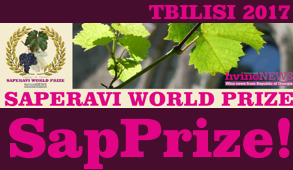 His vineyard varietals consist of Tsitska, Tsolikouri, Krakhuma and Otskhanuri Sapere. We tasted his 2012 Otskhanuri Sapere and discovered that Simon’s wine has a very good future. While he is not selling his wine yet, he wants it to improve; he plans to begin bottling and selling his wine in 2014. Otskhanuri Sapere is a unique grape variety. Producers are just beginning to learn the potential of this grape. Today we will visit two more wineries and take time to explore Batumi on the coast of the Black Sea. Yesterday morning we woke up to rain in Batumi, Georgia’s Sheraton Hotel. Within view of our hotel is the Black Sea and an amazing architecture building that has a floor for each letter of the Georgian alphabet. As we traveled to our first stop the Georgian Wine House, it rained quite heavily. The river we traveled along was moving rapidly and numerous waterfalls appeared to have sprung up overnight. 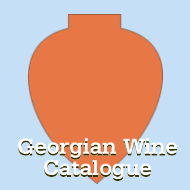 In about a half hour, we reached the Georgian Wine House, a relatively new winery in Georgia, opening in 2010. The building, while built new, fits in well with the landscape and Georgia’s renowned history. The Georgina Wine House features three grape varieties: Chkhaveri, Tsolikouri, and Rkatsiteli. 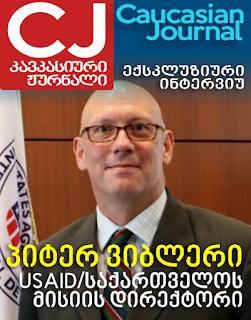 Chkhaveri and Tsolikouri varieties go back many centuries. The Georgian Wine House has numerous private events including weddings and birthday celebrations. Adjacent to the Georgian Wine House is a vineyard. They also source grapes from other growers. Unfortunately due to the heavy rains the roads became impassable, so there were no more wineries to visit on Sunday. We had time to write and later walk along the Black Sea with umbrellas of course! After three flights from Tbilisi, Georgia to Rome, Italy and then to New York City, we arrived home. Leaving our hotel at 2:30 am, we arrived home at 9:30 pm. Our visit to Georgia (Sakartvelo) has been very successful due to Georgia’s National Wine Agency and to the many wineries we visited. We tried to observe and take in everything in two weeks time including the culture, history, foods, qvevri winemaking, and traditional winemaking techniques. The National Wine Agency calls Georgia the “Cradle of Wine.” We saw and heard about numerous artifacts that have dated back 8,000 years. That’s a long, long time! The only way I could contemplate that was when I saw artifacts from before the time of Jesus and realized that some of these artifacts were in existence while he was living. How awesome is that? 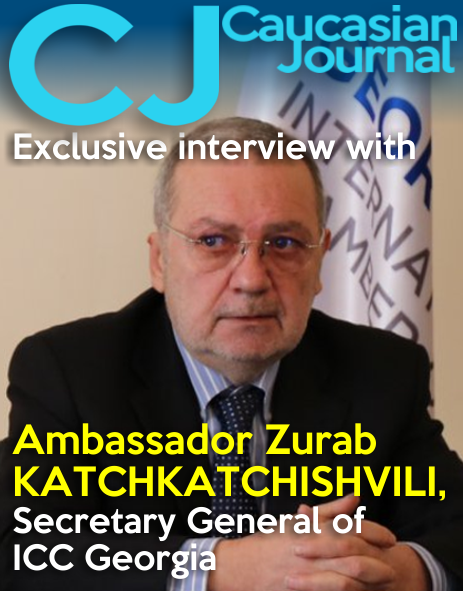 It was also interesting to note that from our observations, the people of Georgia are not afraid of Christianity [an interesting observation - HN]. Religion is an important part of their lives. At supras, a very special Georgian dinner, many toasts are made by the Tamada with the first toast always being to God. We met Georgians who gave verbal thanks to God for what they had. 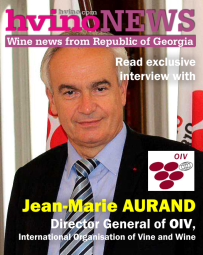 Georgia’s qvevri wines vary according to the grapes used, the vintage and the winemakers’ protocol. Some winemakers use all of the chacha (pomace) other winemakers use very little or perhaps none. Some winemakers keep the wine in qvevri for six months while others may only keep it in qvevri for several days. This is the same as winemakers who use modern stainless steel tanks and oak barrels – winemakers make their own unique style of wines. This is what makes exploring the world of wine exciting. Whether you physically travel to a country to visit wineries or go to your local wine shop or grocery store to buy your wines, you can learn more about wine, history, food and culture. If you really want to learn about age old winemaking techniques, be sure to discover the wines of Georgia whether by travel or asking for Georgian wines at the wine shop or restaurant. 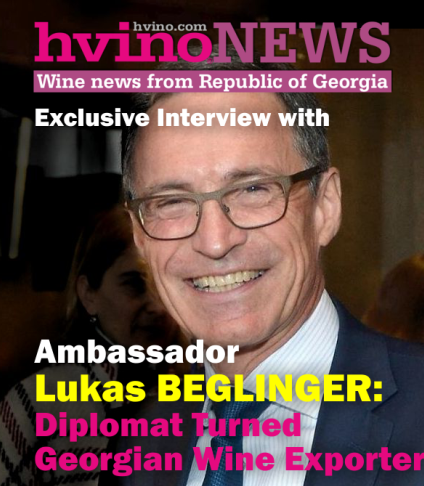 Many thanks to the National Wine Agency in Georgia (Sakartvelo) for the opportunity to visit, write and learn about Georgian wines.